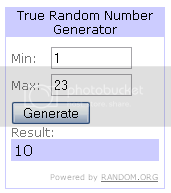 You Are The Roots: Kush Giveaway Winner! Congratulations, Kerri! You'll receive an e-mail from me shortly so we can get your prize set from Kush sent your way! Thank you to everyone who entered. I'm so excited to have been able to hold such a fabulous giveaway for a product that I really, truly love and couldn't sleep without! Literally! To everyone who didn't win, definitely check out the Kush support on their website. You won't regret ordering one!